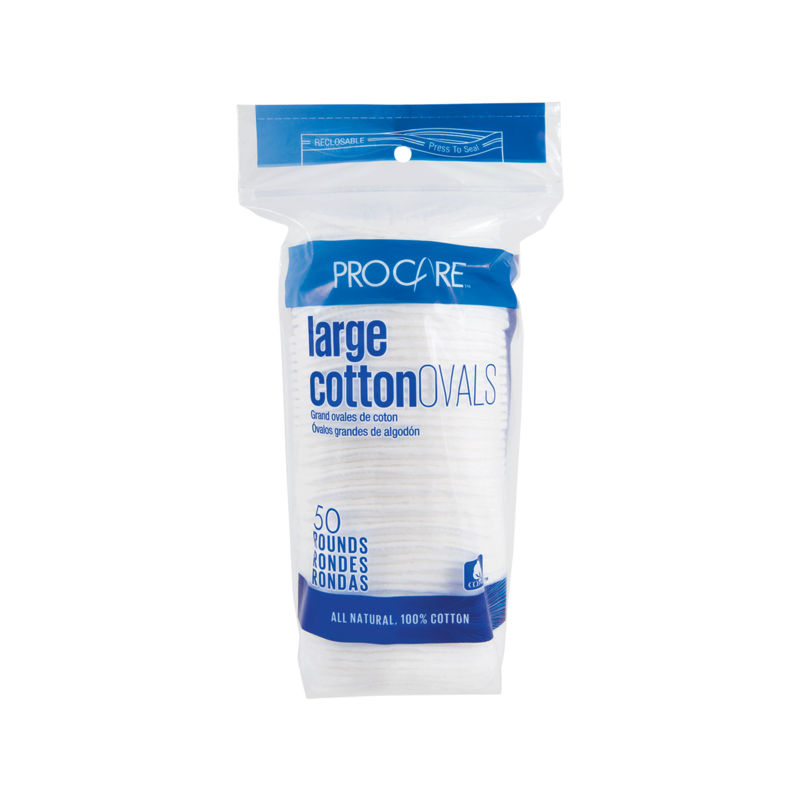 Premium Cotton Ovals are easy to use with a dual sided texture and a crimped edge that keeps them from unraveling. Textured design ensure the right amount of absorbency. Works to remove nail polish and cosmetics or for application of cleaning agents.